Stylish and very practical. Every man should have one of these! 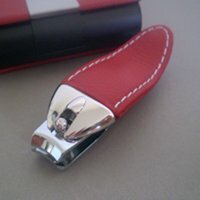 The giant nail clipper comes finished with an easy grip red faux leather handle and chrome tip and is presented in a smart metal and faux leather case. A very practical gift or travel set. Don't leave home without it!